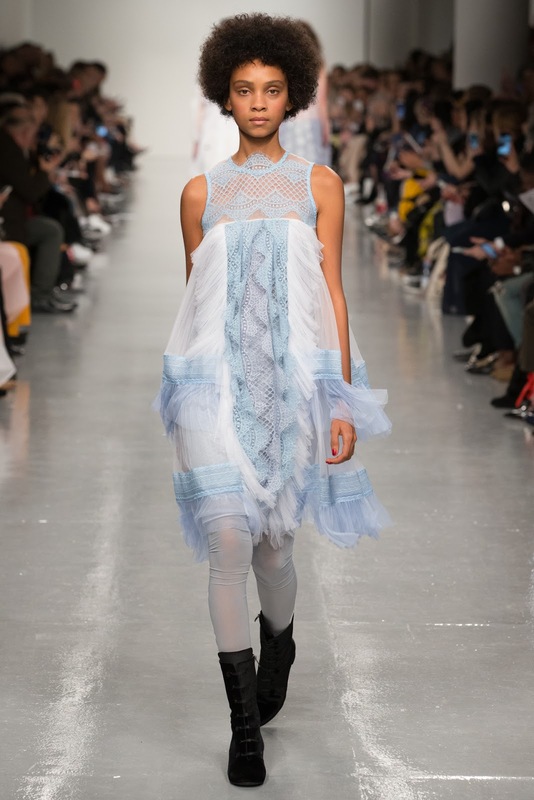 Daughter of the Maharaja Duleep Singh, the goddaughter of Queen Victoria and a pioneer of the Suffragette movement, Princess Sophia Duleep Singh was one of the most stalwart and prominent figures in the British Votes for Women movement, bold and fearless, she marched alongside Emmeline Pankhurst in protest outside parliament, refused to pay her taxes until women got the vote and threw herself in front of Prime Minister Asquith’s car. 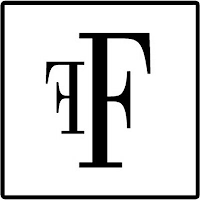 After the death of Emmeline Pankhurst in 1928, Sophia became president of the Suffragette Fellowship. 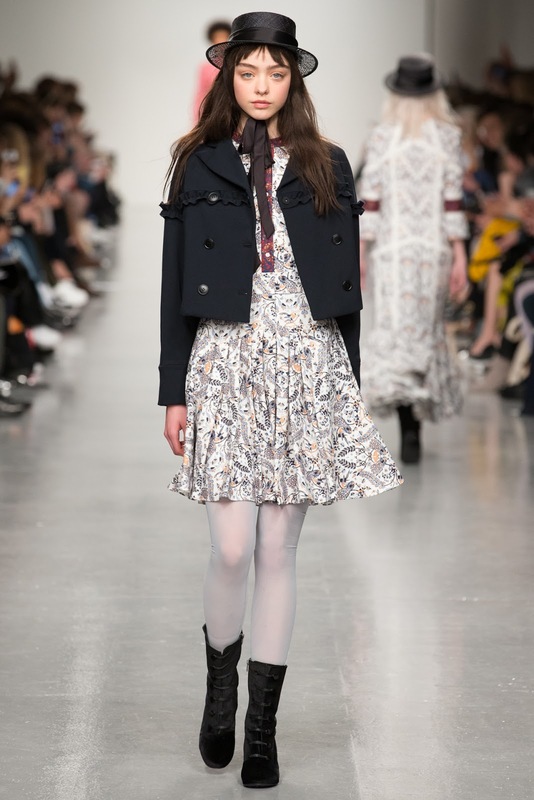 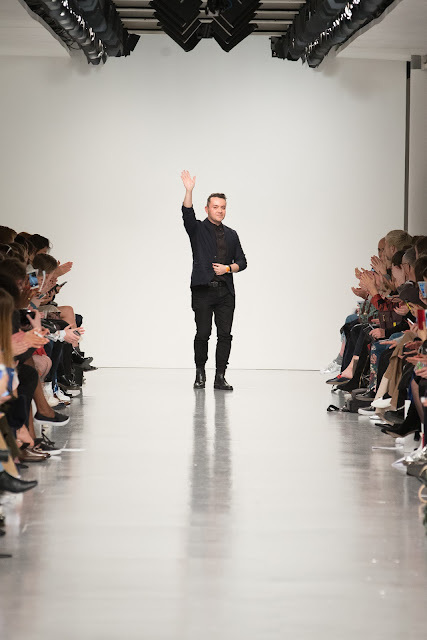 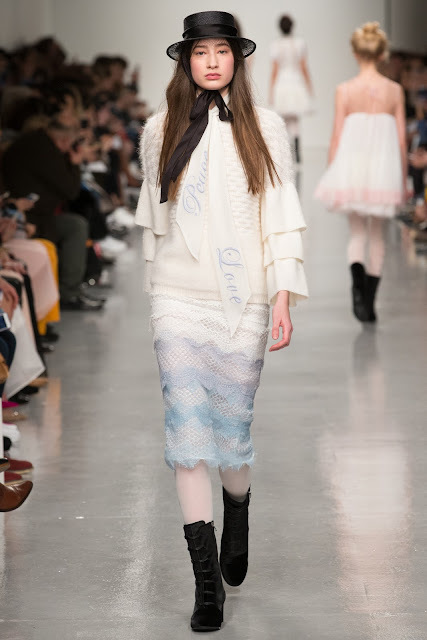 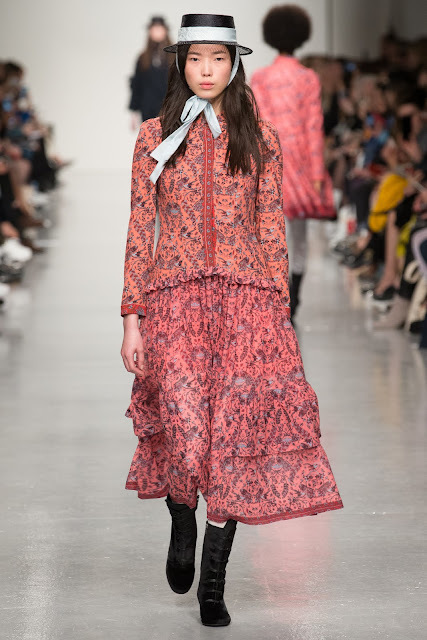 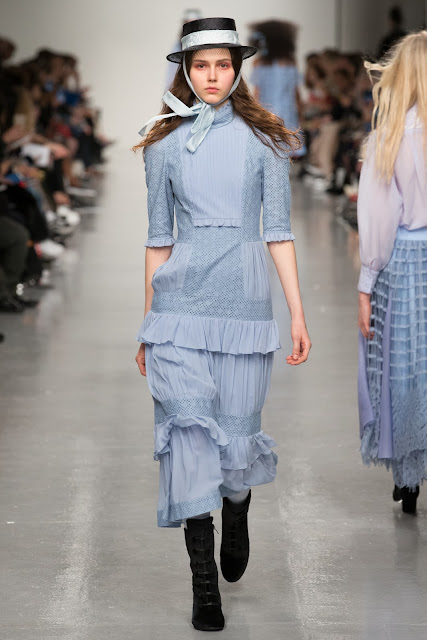 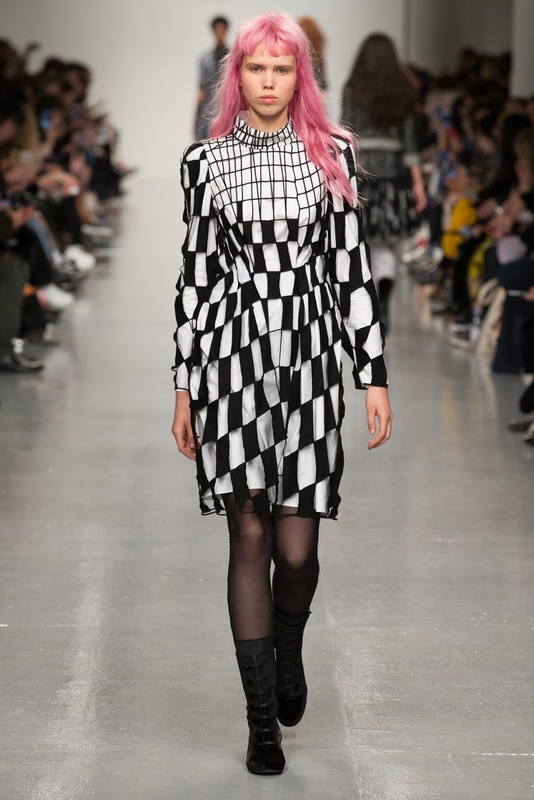 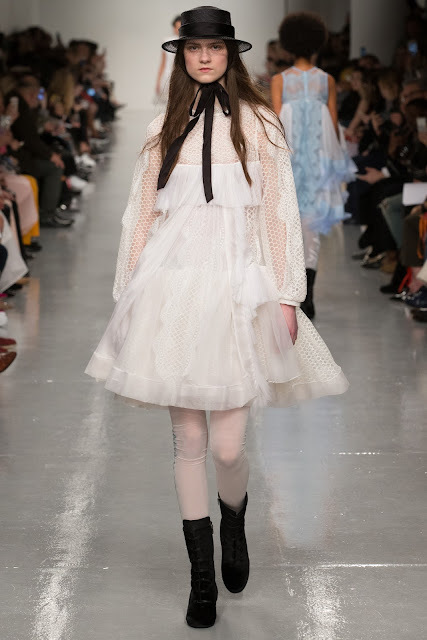 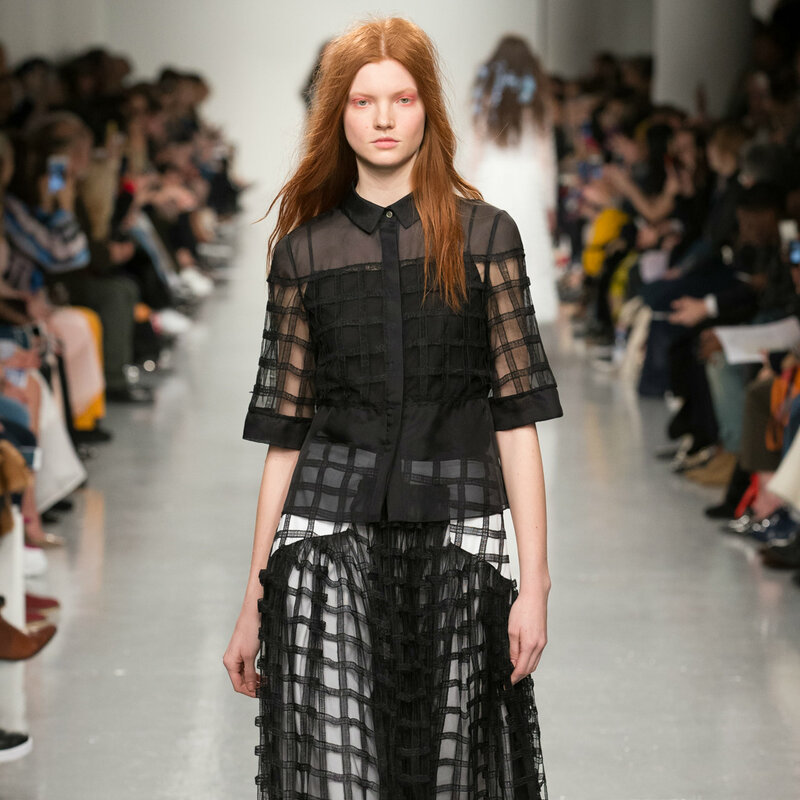 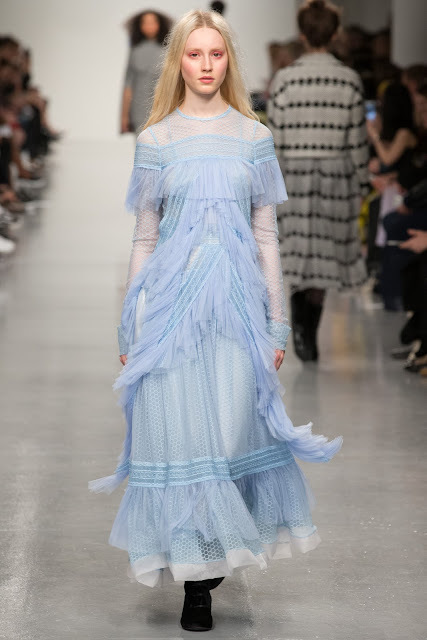 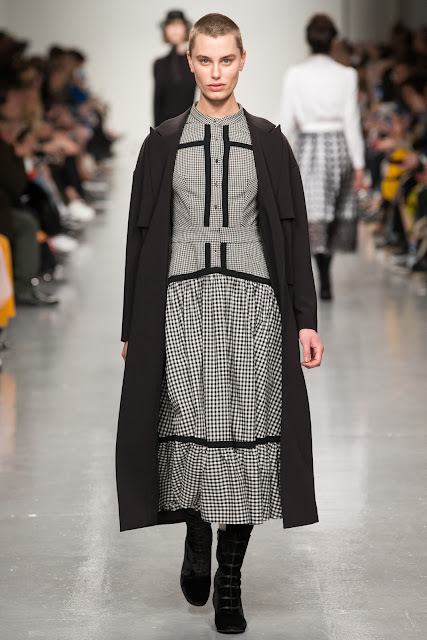 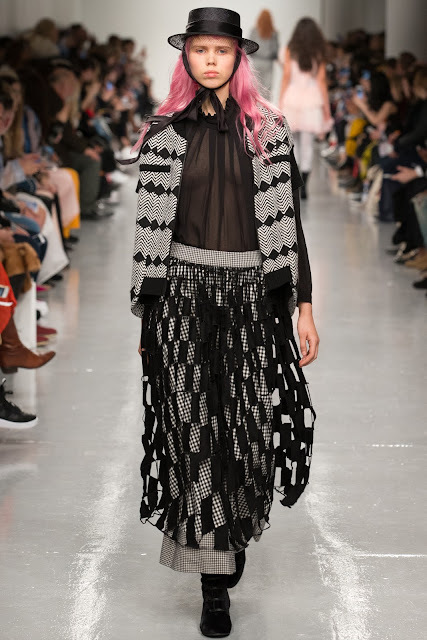 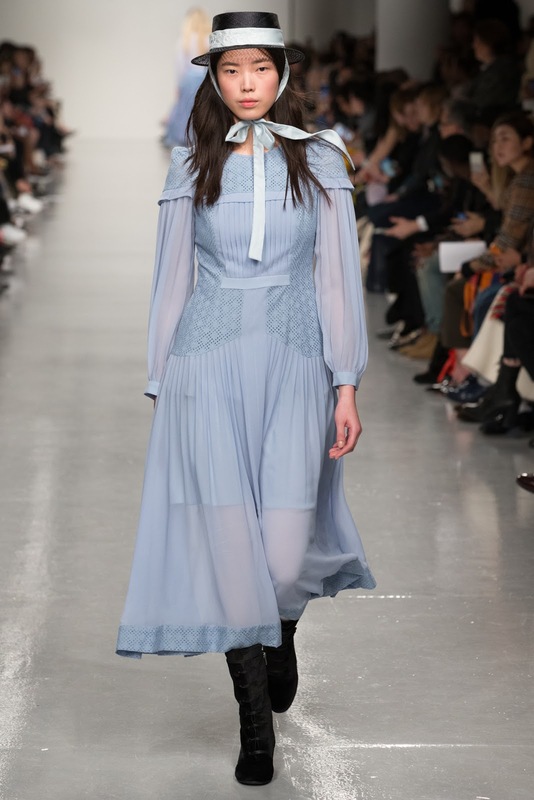 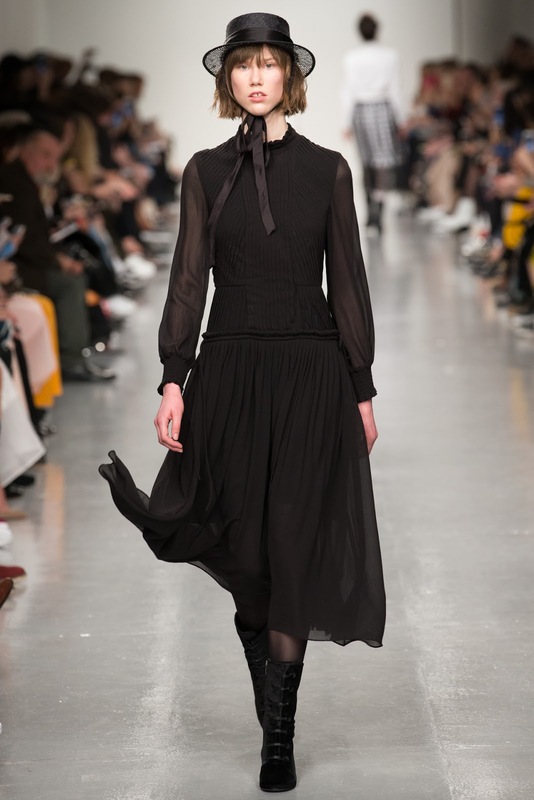 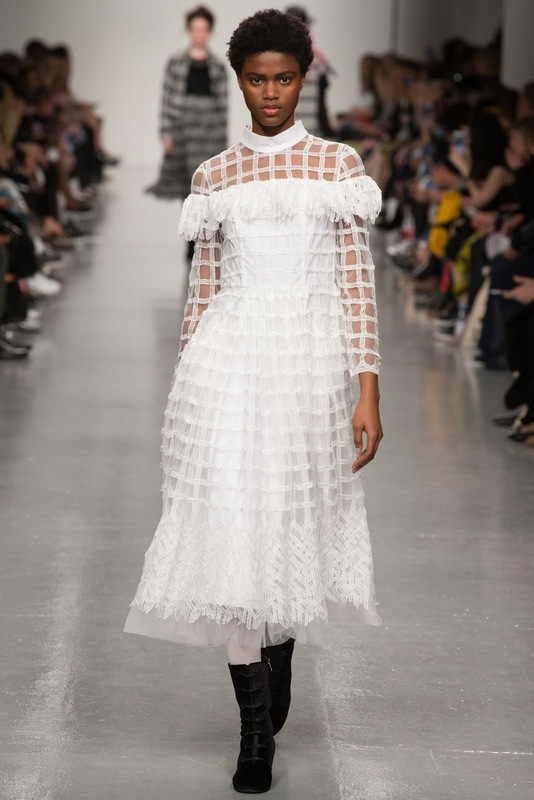 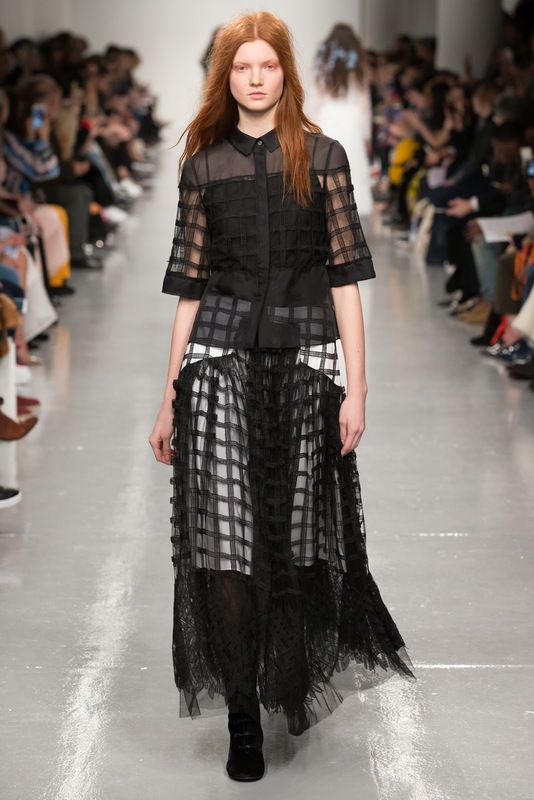 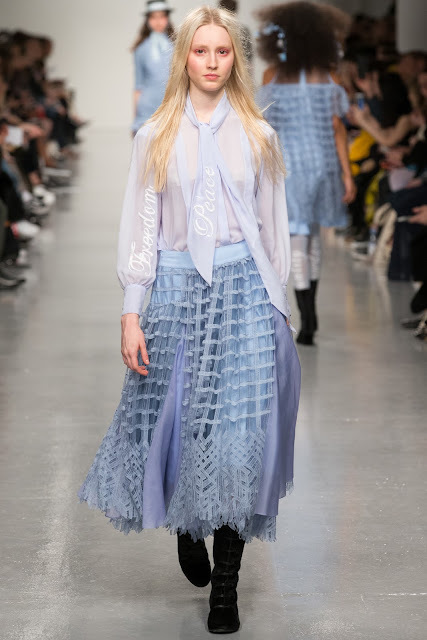 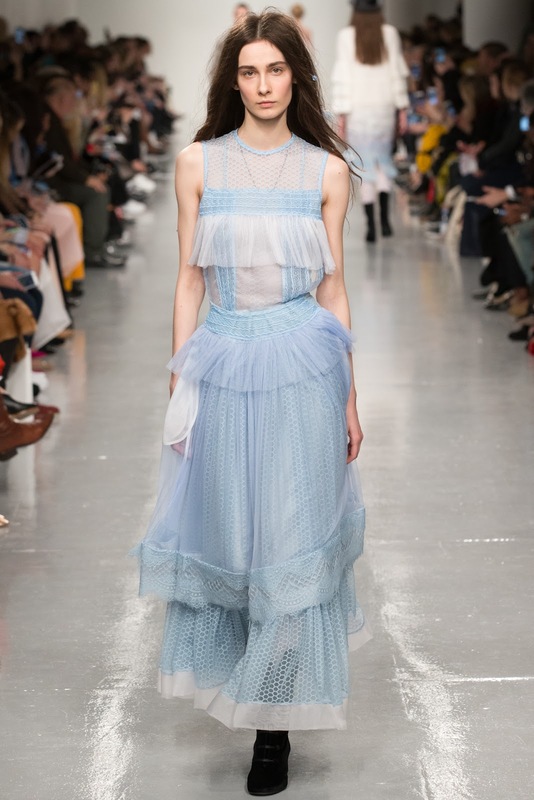 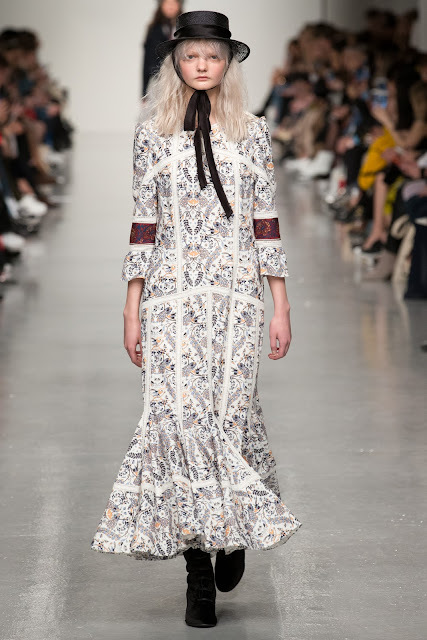 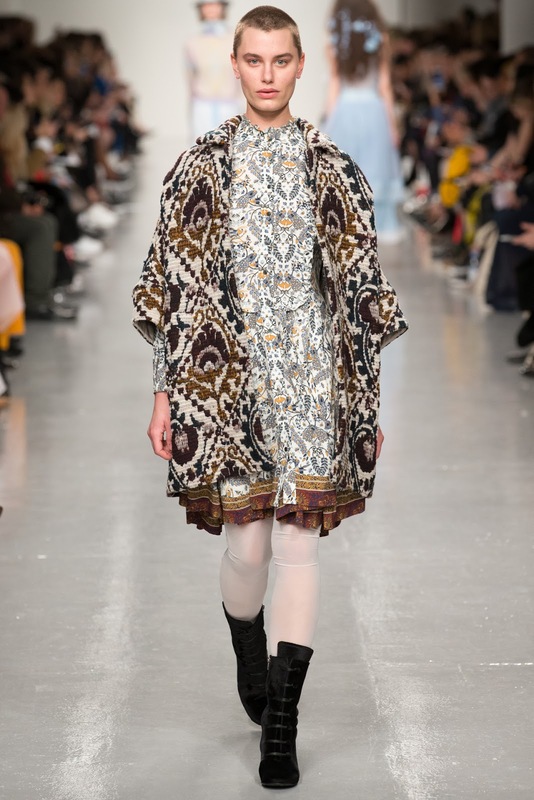 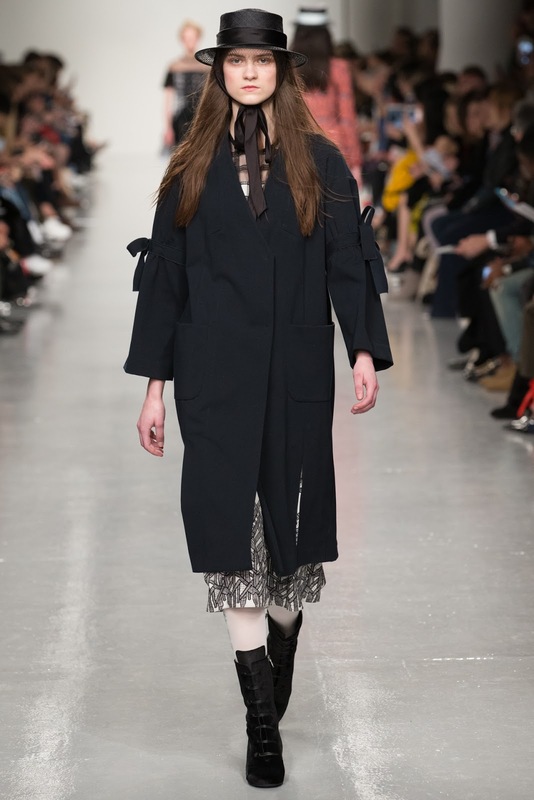 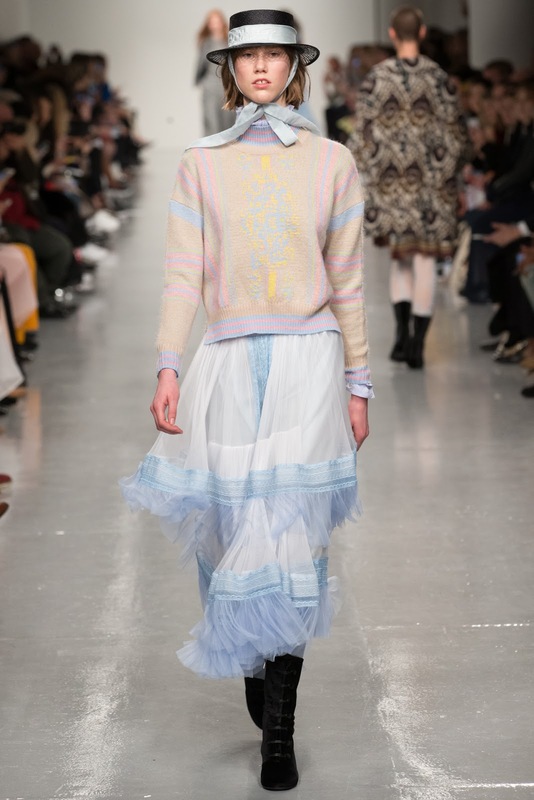 In a collection dedicated to Princess Sophia Duleep Singh, Bora Aksu creates garments to reflect the contrasts in her life. 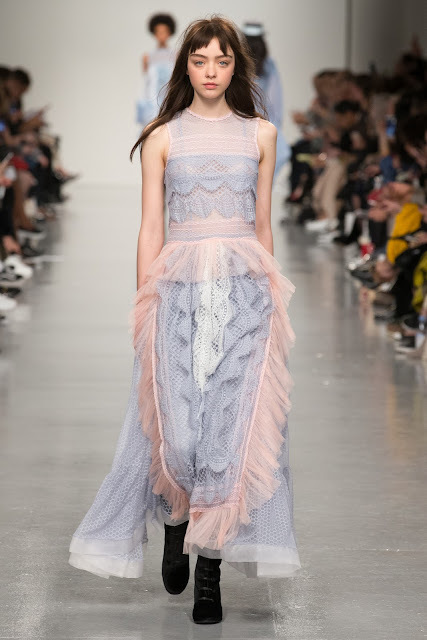 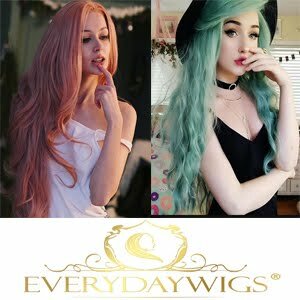 The lightest pastel shades of lilacs, blues and powder pinks come alive in forms of lace and silk tulles moving freely, representing Sophia’s soft and shy self, growing up in the blankets of an aristocratic life. 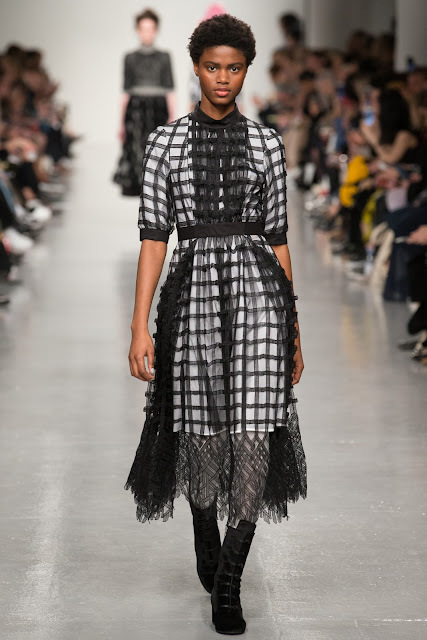 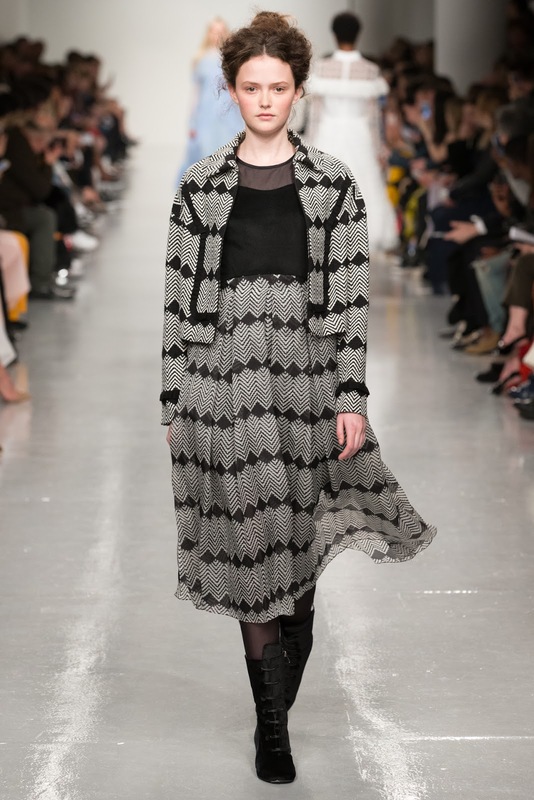 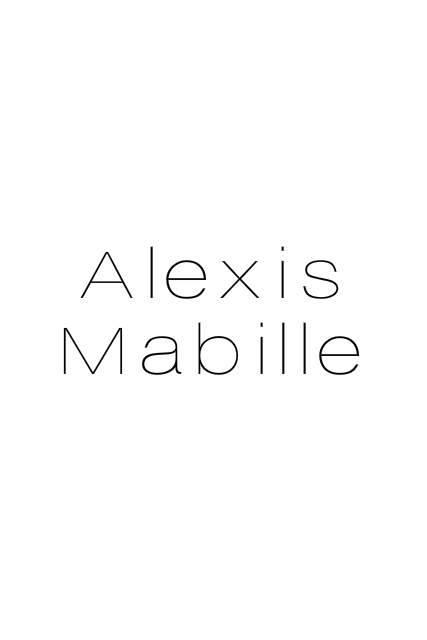 In contract, thick black and white embroideries layered on plaid reflect her passionate, determined side. 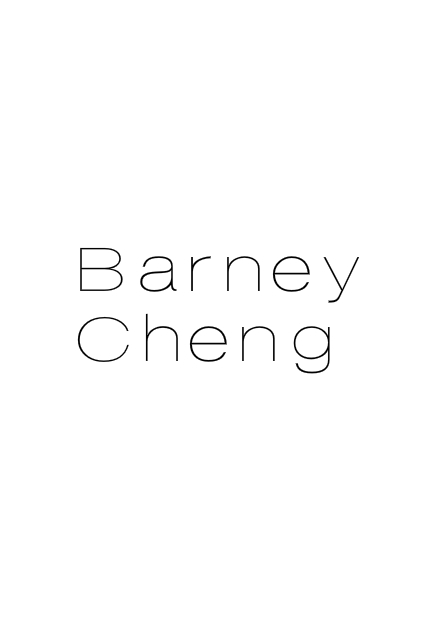 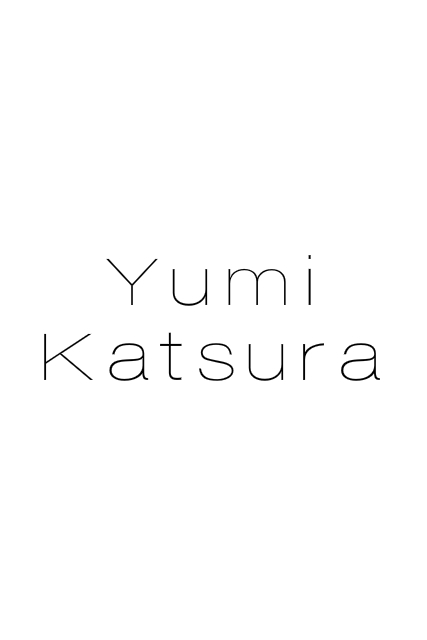 Much of the detailing is inspired by the Suffragettes and their symbolic dress codes in the early 20th century, with hand embroidered words in pale shades written on shirts, collars, cuffs and ribbons, sending softly spoken but strong messages. 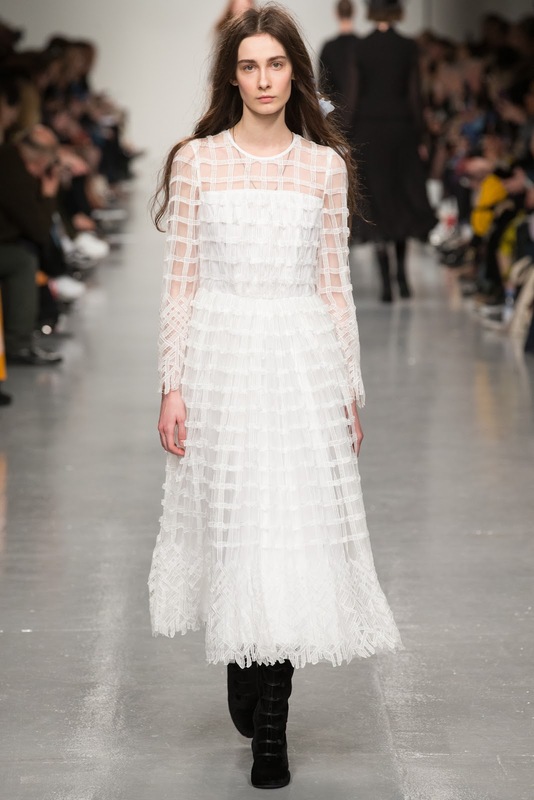 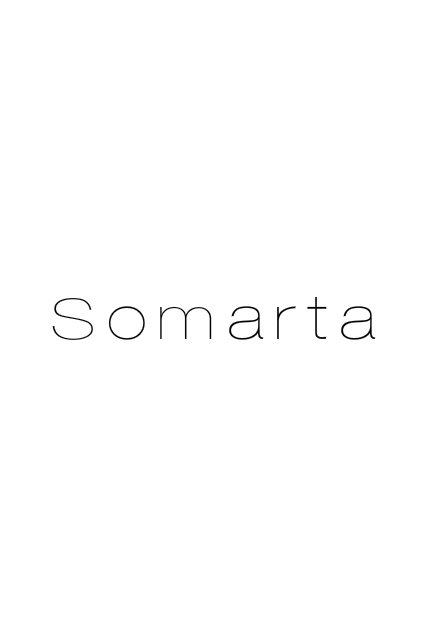 Specially developed embroideries and textures have been created in graphic lines and shapes, while maintaining a softness mimicking the perfect balance achieved in Sophia’s character. 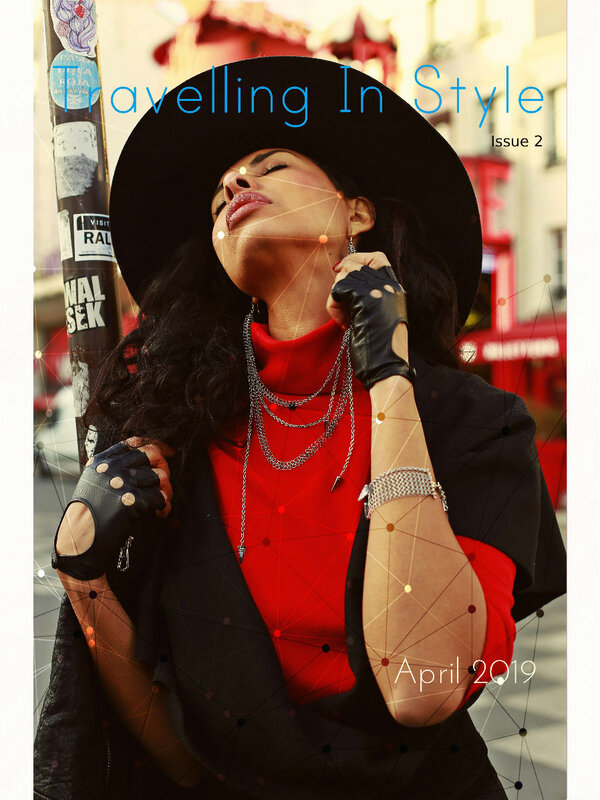 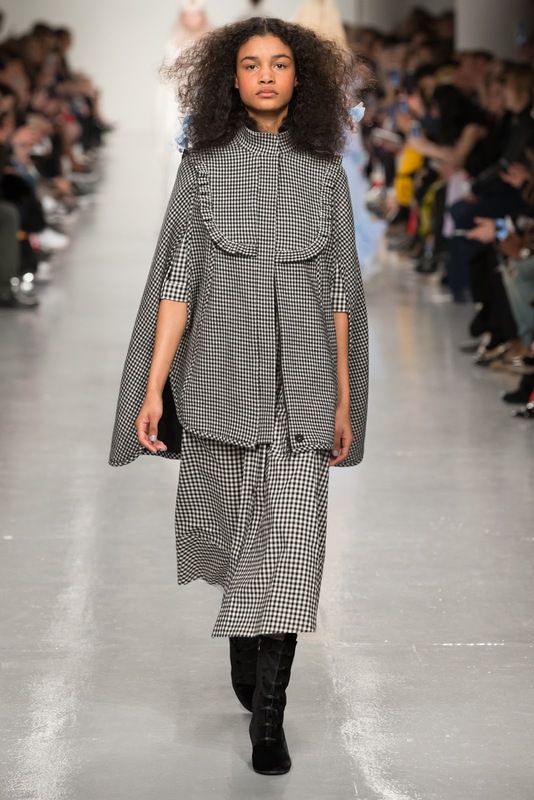 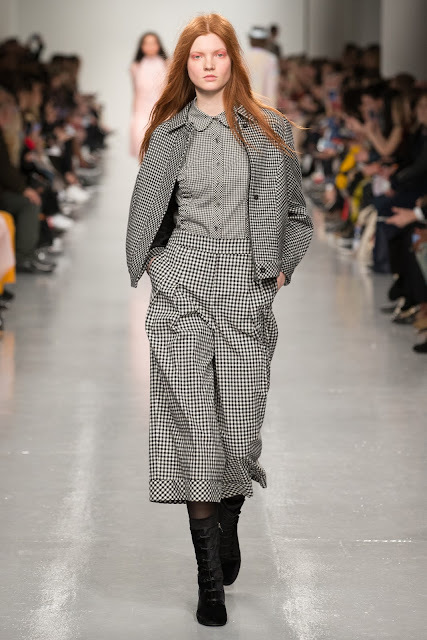 The combination of soft feminine fabrics and structured shapes add both a sense of romantic yet bold silhouettes, whilst capes, jackets and coats in luxury woven fabrics are a dominant part of the collection.